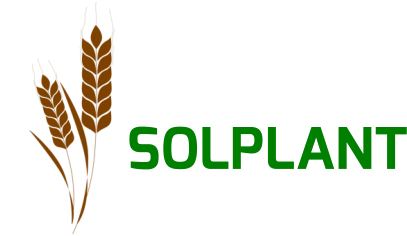 “Solplant” (referred to as “we”, “us”, “our” or “Solplant” in this policy) primarily refers to Solplant Limited. We are registered in Ireland with company number 452207and our registered address is at Block A, 5th Floor, The Atrium, Blackthorn Road, Sandyford, Dublin 18, Ireland. AtSolplant, we are committed to protecting and respecting your privacy. Any personal data that you provide to us, if retained, is held securely and will only be used for the purposesdescribed in this document. Unfortunately, the transmission of data via the internet is not completely secure and there is no guarantee or warranty in relation to the security of any information you send to us via the internet.However, we will take all reasonable steps, including appropriate technical and organisational measures to protect your personal data. Owing to the nature of our services, we are acing as Data Controller in respect of any personal data we hold. This means that we make decisions about what types of personal data we need to collect and retain, and we have discretion about how it should best be used in order to provide our services and run our business effectively. • Information that you provide to us when you purchase a product or service from us (such as your first name, last name, company name, job title, country of residence, home and business address and email address). • When you complete an online entry form, we will collect the details supplied on the entry form. • Website visitors can submit enquiries by completing the ‘contact us’ forms or by submitting email enquiries. • When you provide information to us when you meet us face to face. • When your company or intermediary offers information on your behalf. • To contact you in response to communications you might send us. • To provide you with information about our products and services that you have requested from us. • To provide you with the information and services necessary in the fulfilment of our contractual obligations to you. • To contact you in relation to our services, events programme, general news from Solplantand communications deemed to be of possible interest to you. Such communications will always include the facility to unsubscribe. • Processing necessary for the performance of a contract which you have entered into with us, or to take steps at your request prior to entering into a contract. • Processing necessary for compliance with a legal obligation to which we are subject. • Processing necessary for the purposes of the legitimate interests in running our business effectively, which we pursue where such interests are not overridden by your interests or fundamental rights or freedoms which require the protection of your data. • You may also give us your consent to certain processing activity. • Other parties where required by law and as necessary in the provision of our services, and to protect our rights, property and the safety of our customers, employees and business partners. • Other parties at your request. We may share information about you with third parties when you request such sharing. • To enforce our Terms and Conditions, or to act to protect the interests of our registered clients or others. We may transfer personal information outside of the EEA to help us provide products and services to you. We expect the same standard of data protection is applied outside of the EEA to these transfers and the use of the informationto ensure your rights are protected. • Requesting information about whether we hold personal information about you, and, if so, what that information is and why we are holding/using it. • Requesting access to your personal information (commonly known as a “data subject access request”). This enables you to receive a copy of the personal information we hold about you and to check that we are lawfully processing it. • Requesting correction of the personal information that we hold about you. This enables you to have any incomplete or inaccurate information we hold about you corrected. • Requesting erasure of your personal information. This enables you to ask us to delete or remove personal information where there is no good reason for us continuing to process it. You also have the right to ask us to delete or remove your personal information where you have exercised your right to object to processing. • Withdrawing consent. In the limited circumstances where you may have provided your consent to the collection, processing and transfer of your personal information for a specific purpose, you have the right to withdraw your consent for that specific processing at any time. Once we have received notification that you have withdrawn your consent, we will no longer process your information for the purpose or purposes you originally agreed to, unless we have another legitimate basis for doing so in law. You can exercise any of these rights by contacting us at info@solplant.ie, using our social media channels or by visiting our website at www.solpant.ie. If you have a complaint about the use of your personal information, please let a member of our team know, giving them the opportunity to put things right as quickly as possible. If you wish to make a complaint please email info@solplant.ie. Rest assured that all complaints received are fully investigated.